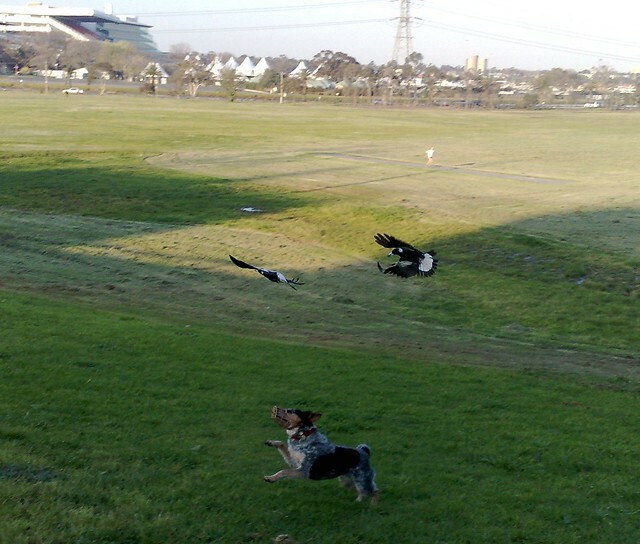 No sooner had the Magpies won yesterday than they were out causing trouble in Footscray, swooping the dog. Mind you the dog didn’t seem to mind. I much rather see magpies flying around than saints – the implications are a lot easier to swallow for an atheist such as myself.